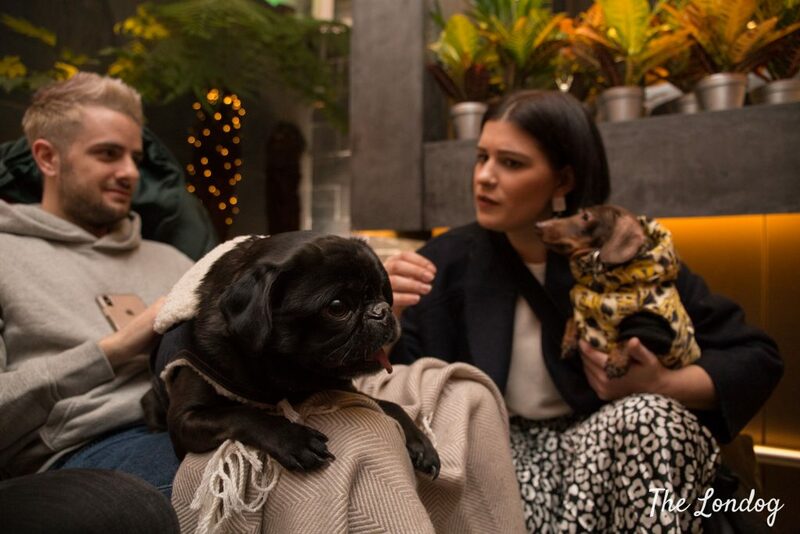 Sip and Snuggle, a new dog-friendly event signed by South Place Hotel, is launching next week in their Secret Garden, with two dates. We went to the preview event and today we tell you all you need to know and why we think you shouldn’t miss it. The South Place Hotel is a boutique, luxurious, lively and fresh-faced 5-star hotel and Michelin dining, located in The City of London, in Moorgate. The first from restaurateurs, D&D London, with its 80 bedrooms, two restaurants (an iconic Chop House restaurants on its ground floor, as well as the Michelin-starred Angler, led by Executive Chef, Gary Foulkes, on its rooftop, with a beautiful open terrace looking out on London), five bars and a floor of event spaces, the South Place Hotel also happens to be dog-friendly (although, we are told that they there are some dog-size restrictions for four-legged who wish to stay in their rooms: only small to medium sized dogs are allowed, so no Argo-sized dogs unfortunately). On its first floor, there is also a Secret Garden. A really stunning place, with palm trees, ferns, elegant lighting and fittings. While in the Summer the Secret Garden is transformed in an open-air venue, thanks to a retractable roof, in Winter heaters and blankets make it a place to enjoy a quiet and cozy atmosphere. 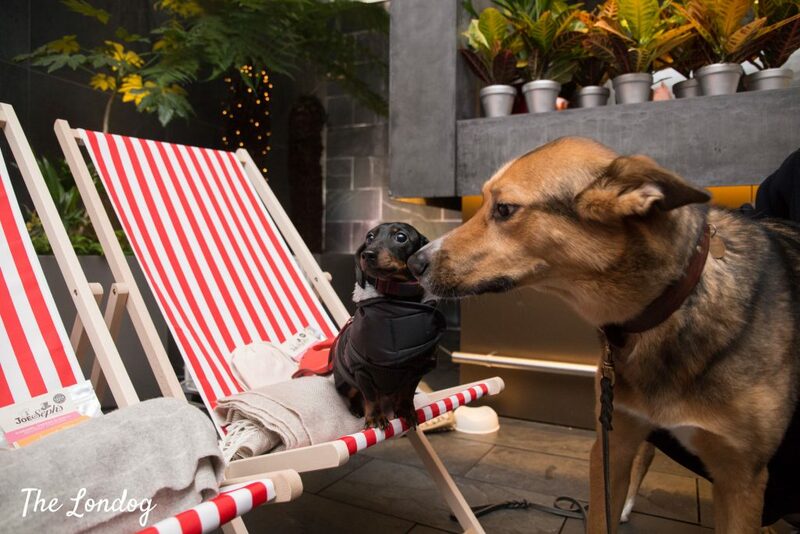 It is in their Secret Garden that South Place Hotel will be welcoming doggies (no size restrictions for this) for their “Sip and Snuggle” events, due to take place next week, where people can bring along their furry friends and sip on hot chocolate (the owner) and snuggle whilst watching a movie. The two events’ dates are set for Blue Monday, 21st January, and Saturday 26th January respectively. The idea of combining movies with hot chocolate for humans came to them after a little survey, which determined that “this is what everybody wants during the Winter”. 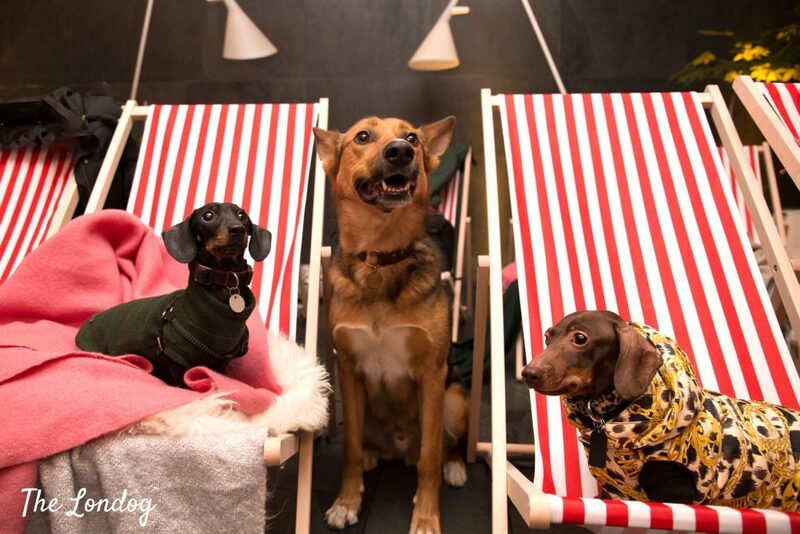 “As January is one of the coldest and depressing months – we wanted to put on event to cheer everybody up a little with some feel good movies – Little Miss Sunshine and When Harry Met Sally, whilst you can kick back and relax with your pup and both enjoy some treats. We will also be supporting the Wild At Heart Foundation through our ticket sales”, said South Place Hotel team. Precisely, they will be donating £3 from each ticket to the Wild at Heart Foundation. 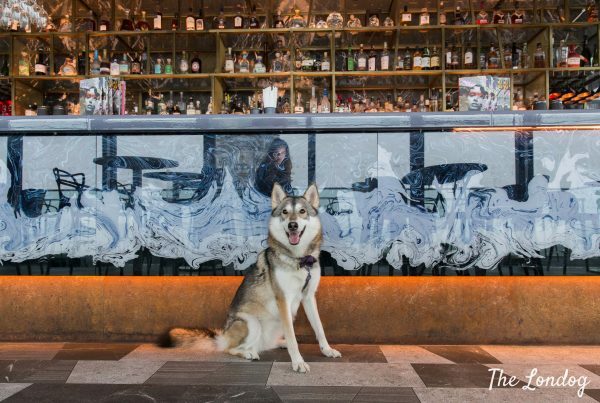 “We love the work that Wild at Heart Foundation do and our sister venue Bluebird London hosted a doggy afternoon tea with the charity last year which was a huge success in raising money for them, so we wanted to do the same”, added South Place Hotel’s team. 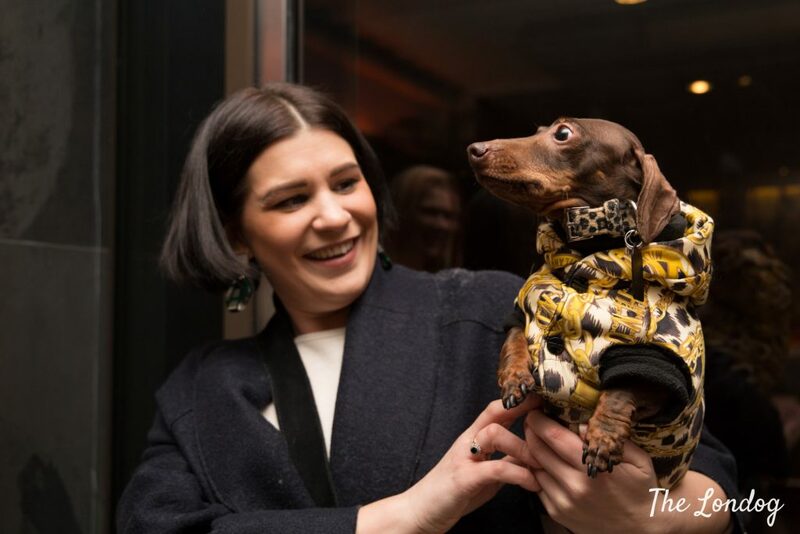 We were invited, along with some dog influencers, to the press preview of the event, showing “Bridget Jones’ Diary”, on Thursday 17th January and this is what we thought about it. As soon as we walk in the hotel, we are welcomed by very friendly staff who indicates us the route to the Secret Garden, not before making a fuss of Argo. At the hotel everything is impeccably curated and as soon as we set foot and paw into the Secret Garden and close the glass doors behind us, we find ourselves in a little paradise. The place is even more beautiful than expected from the photos. For the occasion, the staff has arranged three rows of summery striped red and white deckchairs, which could make you forget about Winter, if there were no wool blankets furled on the seats, to promise a warm embrace. A 80 inch screen is places at the front, for good movie enjoyment. There are some goodies too: some Joe & Seph’s caramel, pepper & chilli gourmet popcorn for the humans and a little goodie bag for the dogs, by PetsPyjamas, with some peanut butter treats, a collapsible dog bowl and dog poo bags, as well as disposable paw wipes. 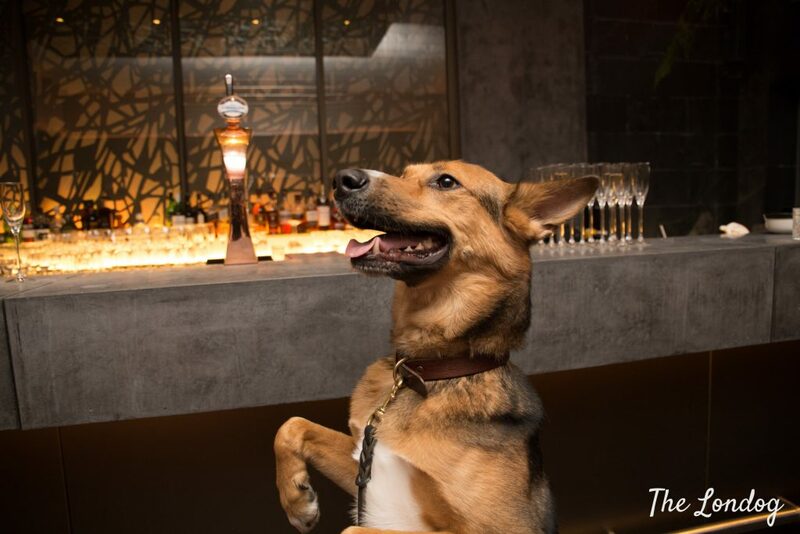 Usually, South Place Hotel’s screenings hold 30+ guests, however they explained that, so that furry guests have some extra space, for the Sip and Snuggle they are limiting the screenings to 20 guests. There are several dog water bowls and some dog pillows in the room, so everyone has their thing, while the human guests are offered a drink. 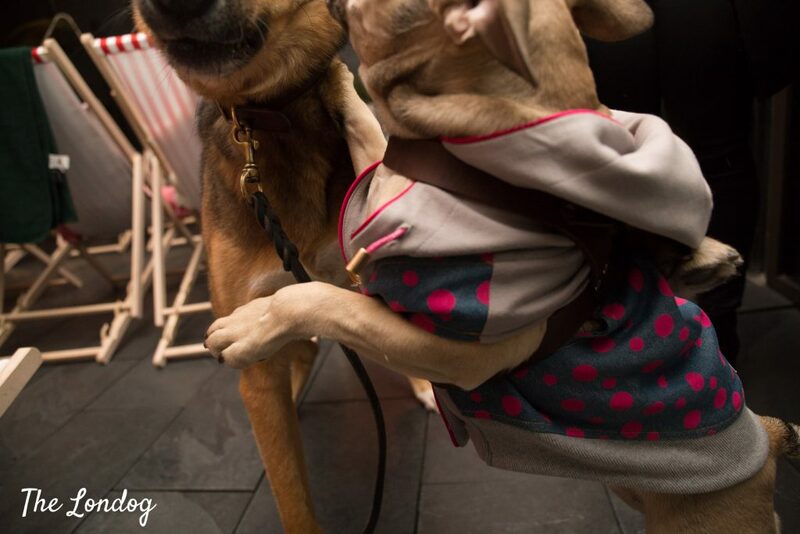 Argo meet dog friends Pop the Sausage (@pop_sausage) the queen of sass and Bun the sausage (@bun_thesausagedog), as well as new ones like Frenchies Yianni & Yoko, from Luxury dog shop Aurora Pets, Suki the pug (from @Sukiandthecity), Daphne Doo (@Daphnethewondersossige), and Chunki (@Chunkithefrenchie), with their respective humans. Argo falls particularly in love with the Frenchies, and start dancing around each other in play bows and kisses. Time for chatting and playing, and dogs to pose for the camera. A lustful fragrance of chocolate starts pervading the room as we are invited to take a seat on the deckchairs. As the dogs settle – with most of them curling up on their humans’ laps – , we are brought a warm cup of hot chocolate. If you are a fan of the drink, you will know it is not easy to find the perfect one, which strikes the right balance in terms of thickness and taste (so it is not watery but not even excessively thick, and not bitter but not even too sugary). As I sip the hot cuppa they bring us I am blown away; everything from its texture to its notes is absolutely perfect to me. I guess it makes sense, in light of the fact that the hotel is run by restaurateurs D&D London, anyway bravo! The lights start to dim and the film begins. I love the film choice – as I can’t get tired of watching Bridget Jones’ Diary – and consensus is that everyone finds it great that they didn’t choose a dog film. The two they picked for next week are also lovely: Miss Little Sunshine and When Harry Met Sally. During the film, Argo peeks out from our row between the deckchairs in front of us, where there are Pop and Daphne’s humans, and gains some friendly pets and scratches, while he wags his tail like a fan. While at the beginning I thought the blanket may be unnecessary, after a bit the film starts it becomes a very appreciated accessory to wrap into. As the film ends it is time to head home. We walk out with Pop, Bun and Daphne and everyone comments on how beautiful the hotel is and everything smells so good. So do we recommend the event? Yes, we very much do. 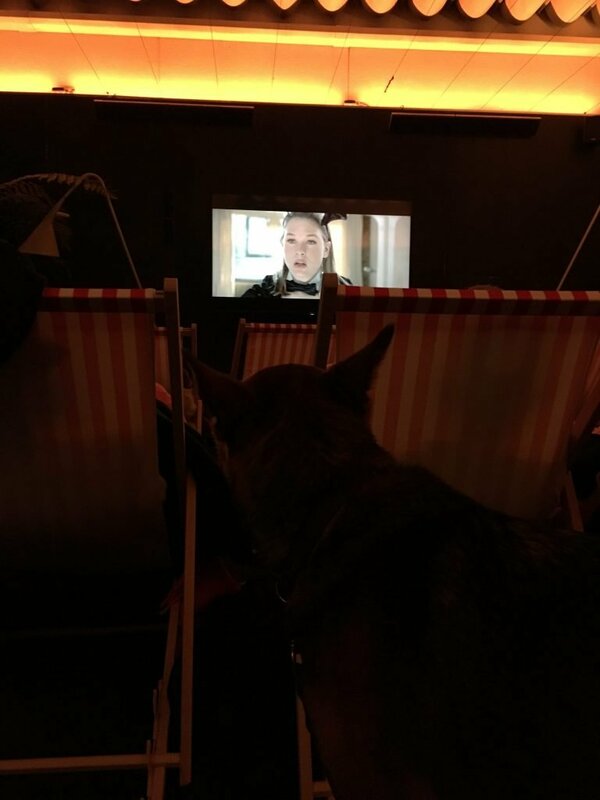 We have been to other dog-friendly screenings, but this is a really unique experience. An occasion to enjoy a cosy and relaxed atmosphere, in a magnificent venue, tasting a sensational hot chocolate, while enjoying all the dogs! Charity support is also another good thing about it. A few things to consider if you go. First, best to dress up warm. There are blankets anyway, but if you like to be warmer better to put on and extra layer. 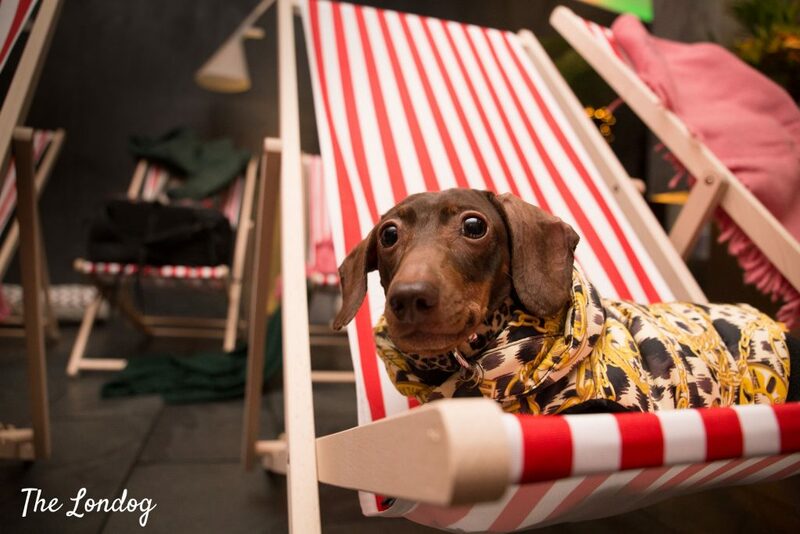 Second, when at the venue be careful if you put your glass on the floor while you sit on the deckchair: you don’t want a dog to knock it down and break it, potentially getting hurt too. Finally, watch out that leashes don’t get trapped into the deckchairs. Tickets cost £20 (if you consider that a dog-friendly cinema at a cinema in town costs between £8 and £16 and in this instance you get also hot chocolate, goodie bag and a donation to charity, it is reasonably priced). Finally a Saturday night for a dog date. Dog events are always relegated to daytimes or weekday eveninings, so this one is an awesome chance. South Place Hotel is located at 3 South Place, EC2M 2AF Moorgate. The closest tube stations are Moorgate and Liverpool Street, so you have a wide range of public transport choices. 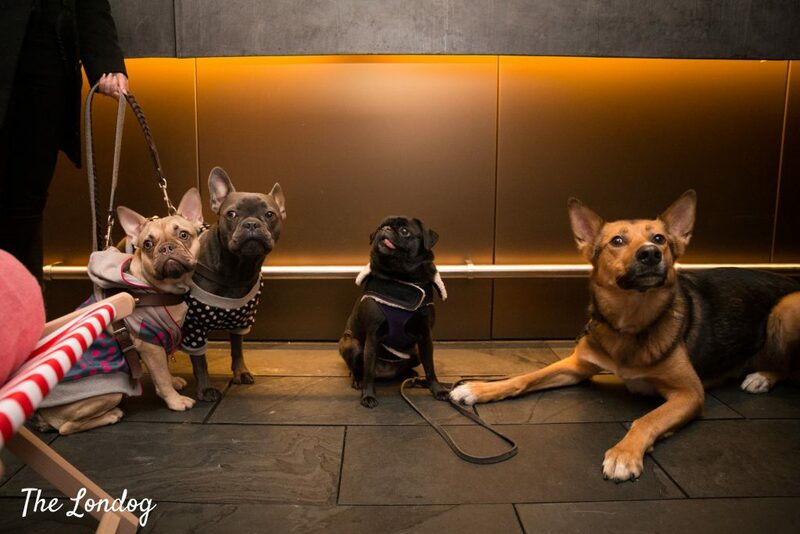 If you are travelling with a large dog, and wish to avoid escalators, or you have a dog with mobility issues and need to avoid stairs, you can plan your journey with the help of these tips. 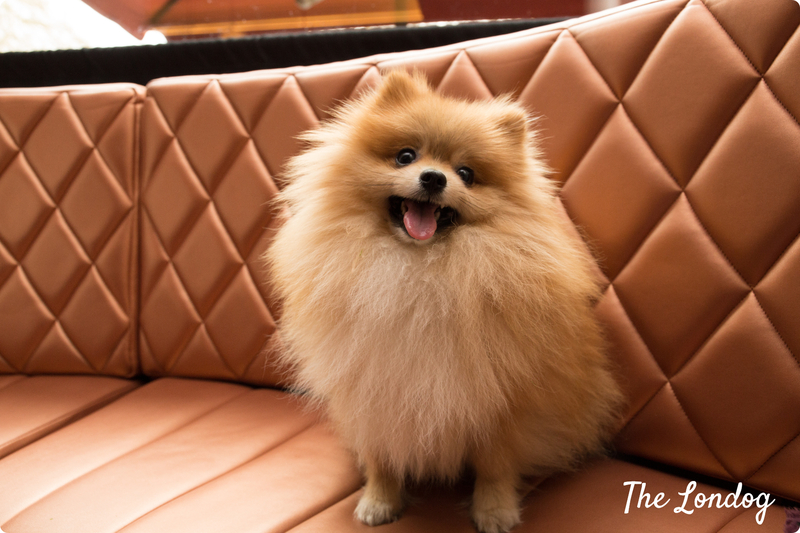 If you come from out of London, and want to stay for the night with your dog, the South Place Hotel can accomodate pets. 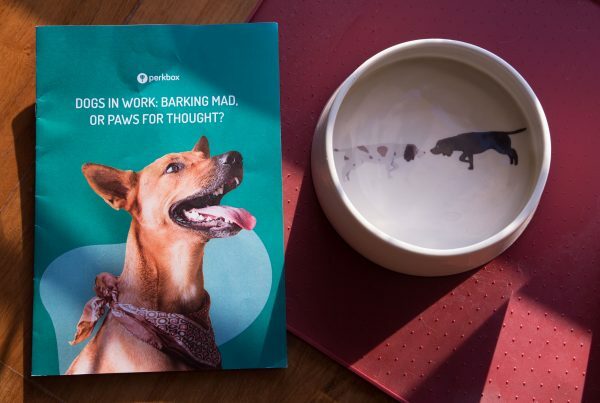 “Our bedrooms are suitable for small to medium-sized pets and we love to welcome four-legged guests (for a small charge of £50)”, they explained. 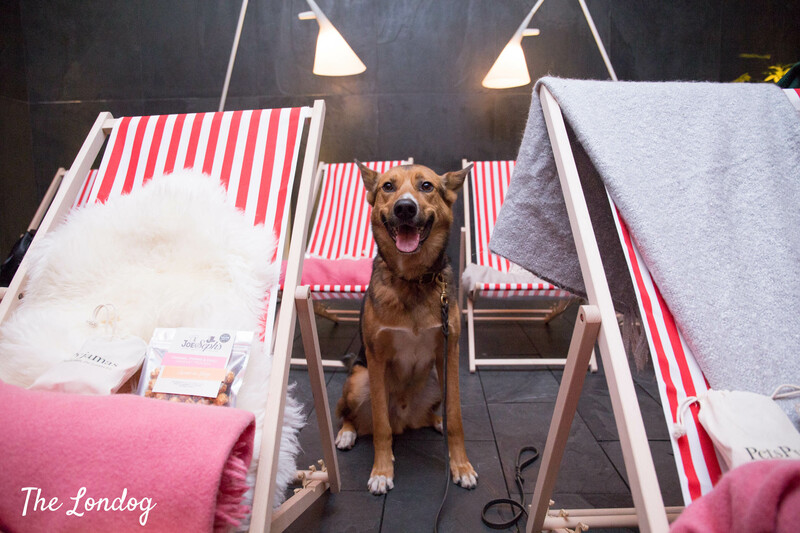 “We have partnered with pet emporium, Pets Pyjamas, to make sure family pets have as much fun as their owners with king size dog beds, a welcome gift, food bowls and a local dog guide. We do have certain restrictions, so best to check in advance. An added fact, we also allow a variety of small-medium pets. In the past we have had animals stay with us such as cats, ferrets and a parrot. Our Lifestyle Team are on hand to give advice such as walking routes, local pet-friendly shops, vets and added extras”.